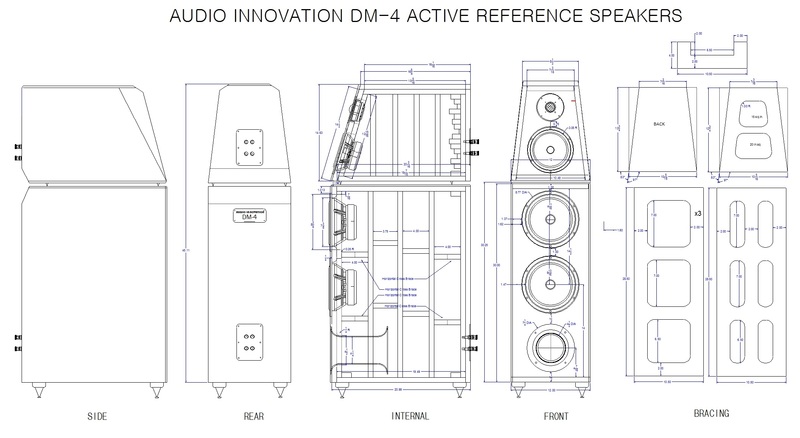 I have officially broken ground on my latest and greatest speaker project – The DM-4 Active Reference Series Loudspeaker. This is one of those projects that has been in the back of my mind for what seems like forever that is finally coming to fruition. 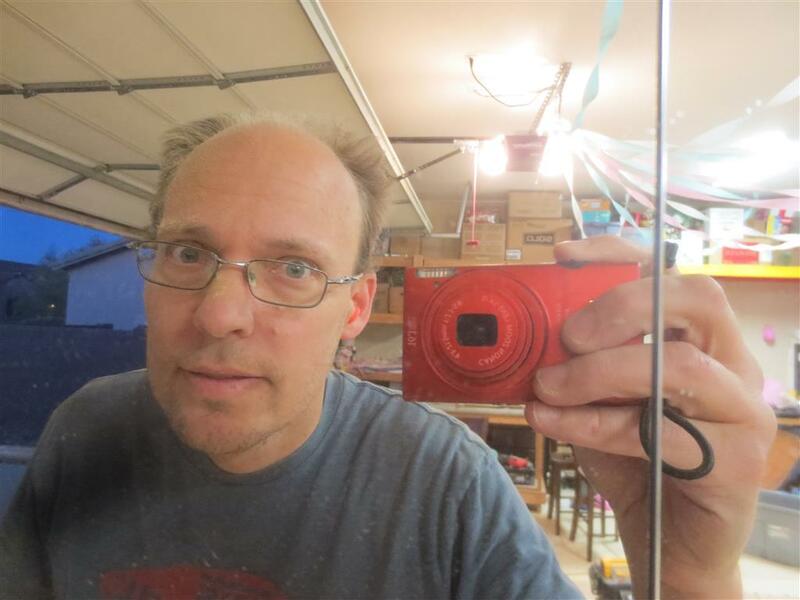 I wrote a lot of the history and background over on my website Audio Innovation (which is dedicated to all of my speaker projects) so I won’t go into it again here. But I find it much easier to do write-ups and post pictures in WordPress than trying to do it on my old-school web site (which I still use Frontpage to create!) 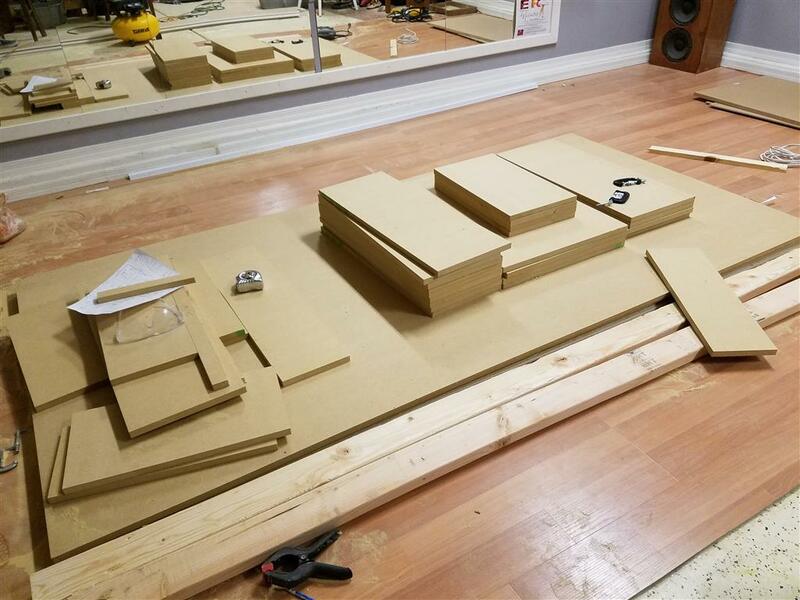 So to document some of the build process, I am going to post pics and details here out of simplicity (or laziness) on my part. 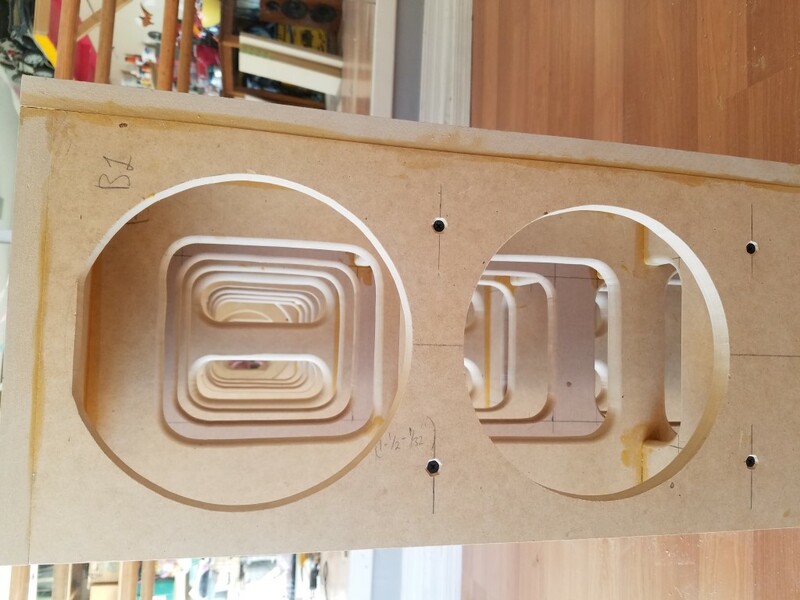 So this will be Part I of the DM-4 Active Reference Series Loudspeaker build write-up and pictures blog. 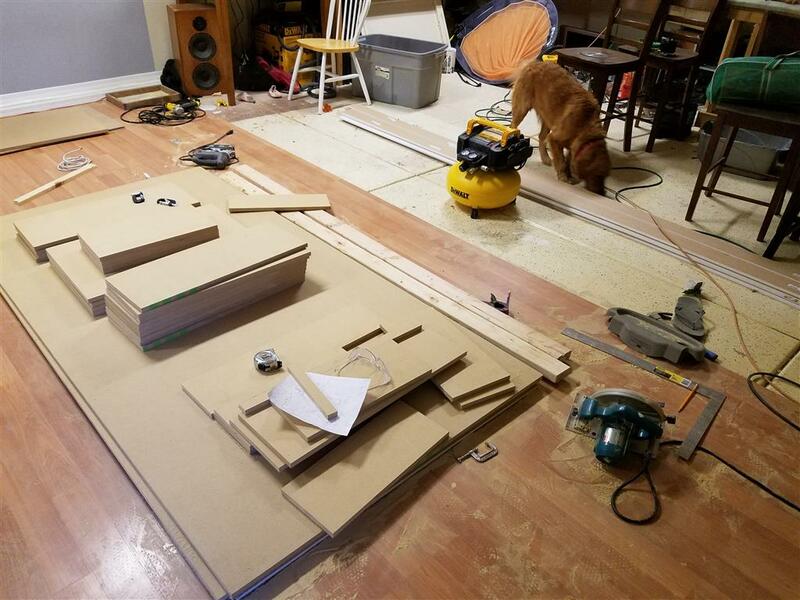 As I get further and further along I will continue to update this site with pictures and descriptions of how the build is coming along. I expect this build to be a work in progress and to extend over the course of the next few months. 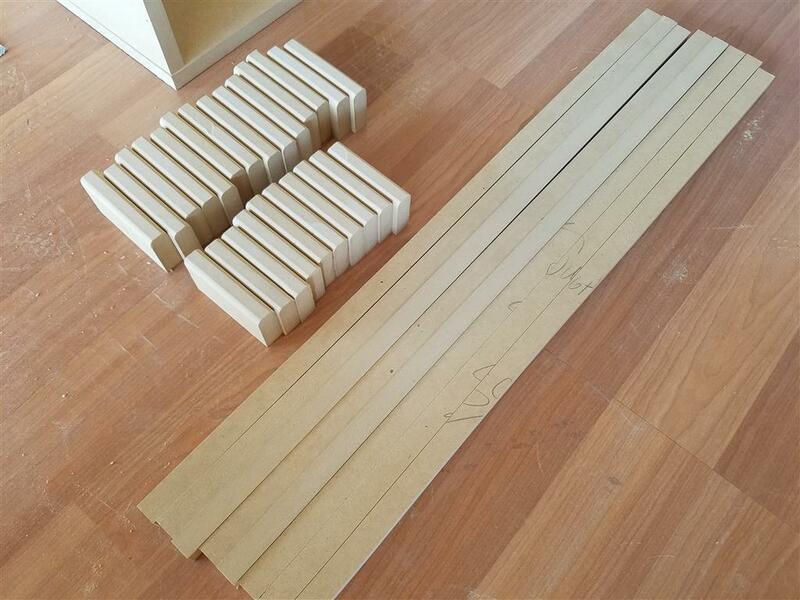 The goal would be to complete this project by Christmas time this year (2016). I’ve waited this long to start this project, I might as well take my time actually putting it together. So yes, if you haven’t noticed, the inspiration for this design stems from two fairly popular high-end commercial speakers – the Von Schweikert VR-5 and The Watt/Puppy by Wilson Audio. 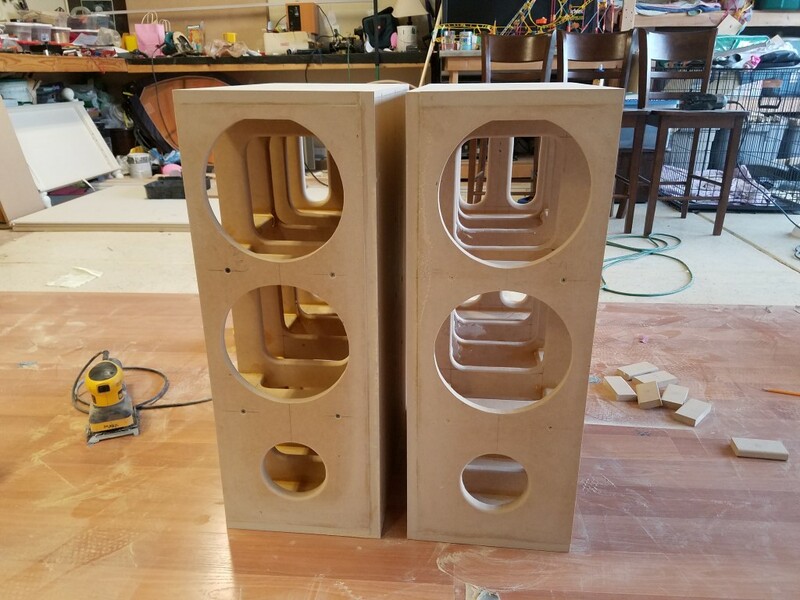 So read my introduction over at Audio Innovation if you’re curious as to why I would even want to build a pair of speakers similar to these insanely expensive commercially available speakers. Call it nostalgia, call it crazy, call it whatever you like, but the inspiration for this design originates from these two popular speaker systems. 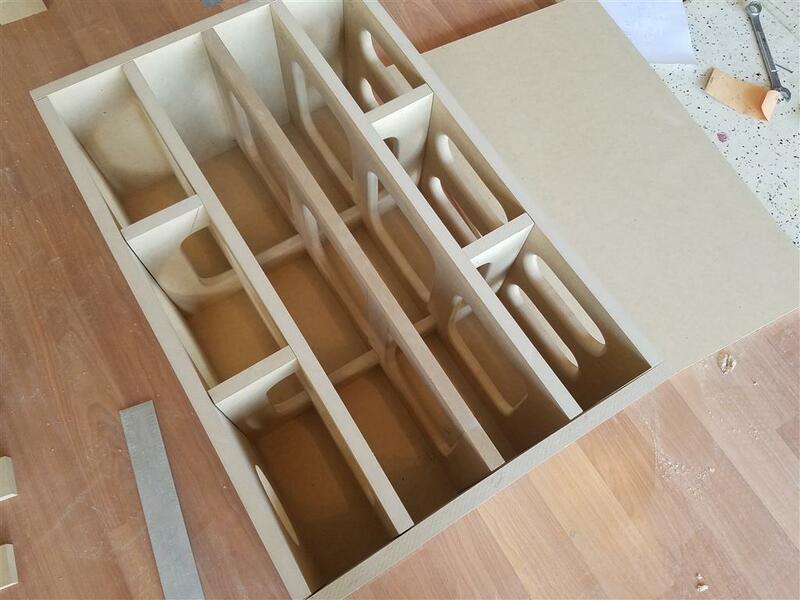 While an exact copy is not my intent and I hate to even use the term copy-cat, with that said, there is plenty of DIY thrown into the mix in terms of enclosure volume, physical size, tuning, shape, fill material, driver selection, crossover, finish type, wood selection, etc. So enough of the intro, let’s get onto the build pics! I’ll try to keep the narrative to a minimum and let the pictures do most of the talking. 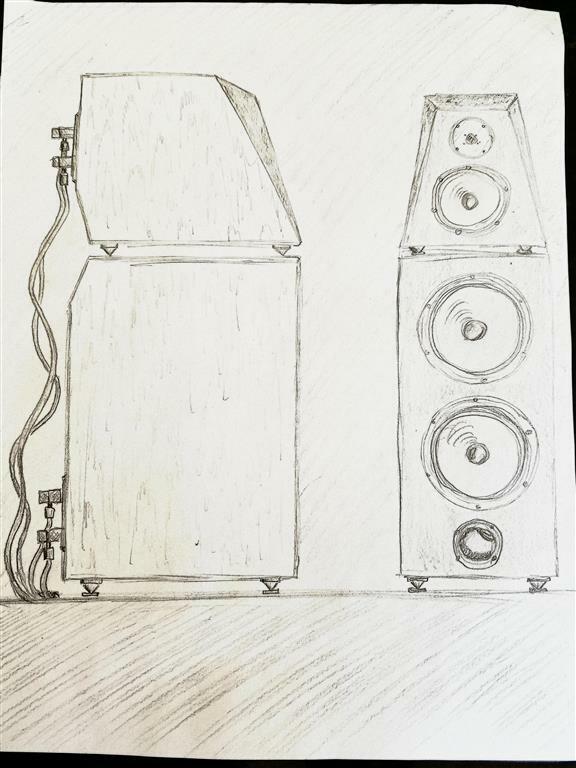 I’ve CAD’d up the design using DeltaCAD (which is a great tool for drafting speakers, or any other project for that matter) as well as I just sketched up some drawings on paper of what the speakers will look like (my kids think the only thing I know how to draw are speakers – they may be right). 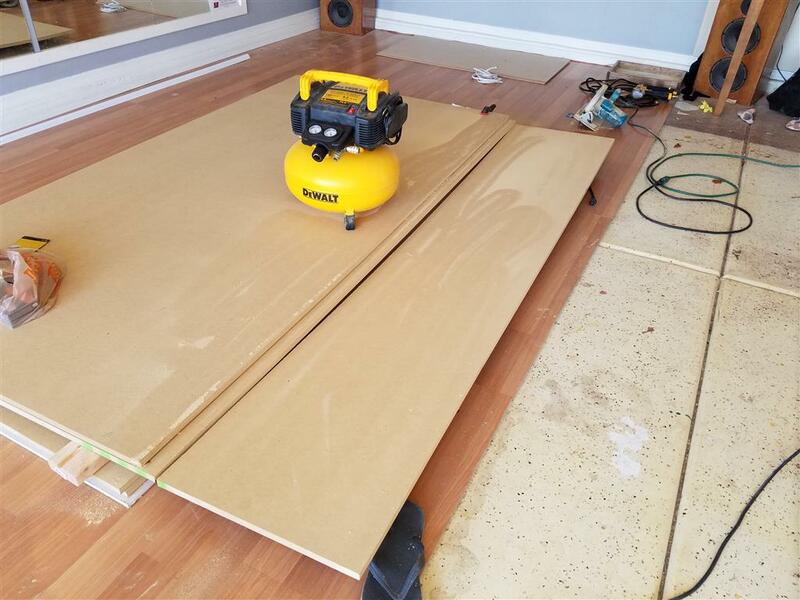 I’ve only cut wood so far on the lower cabinet. 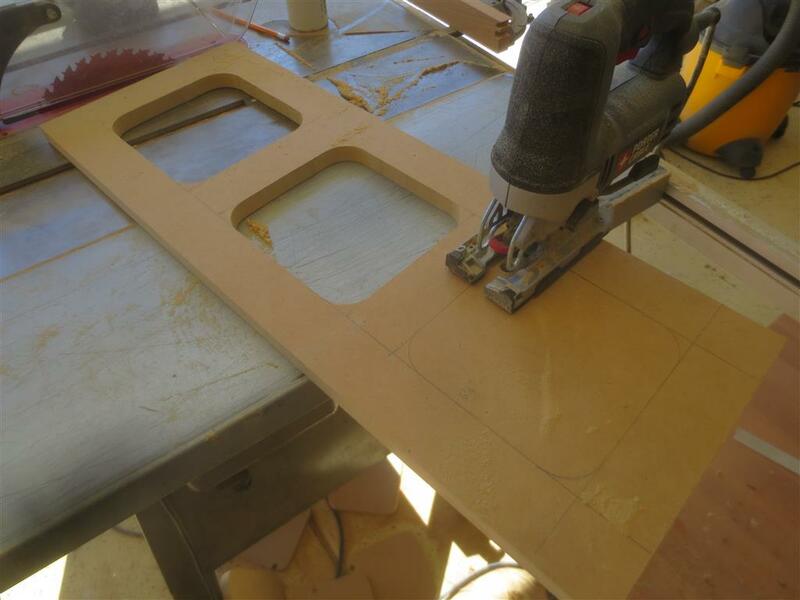 I’m still tweaking some of the design/dimensions on the upper cabinet as well as drafting up the cut sheet. 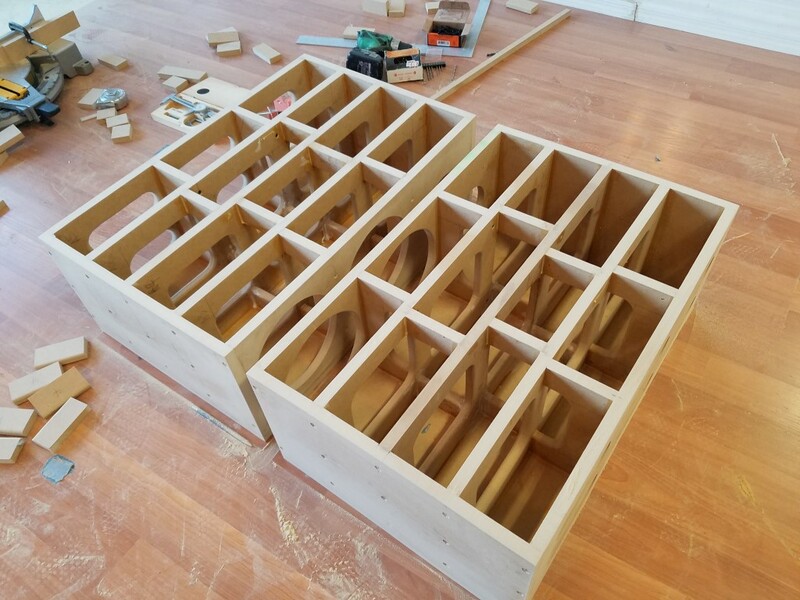 So far now I have just got the lower cabinet started. 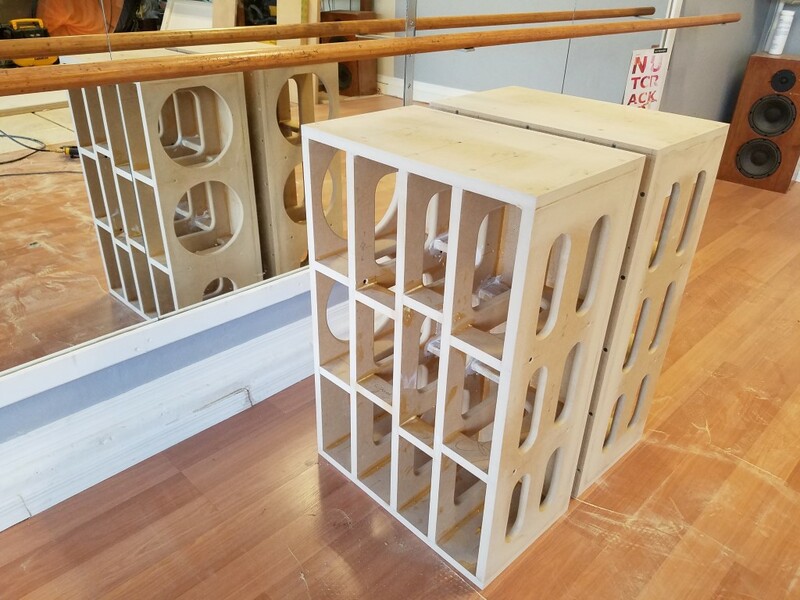 Each cabinet measures 12″W x 30″H x 21″D and is made from 3/4″ MDF with extensive window and cross bracing. 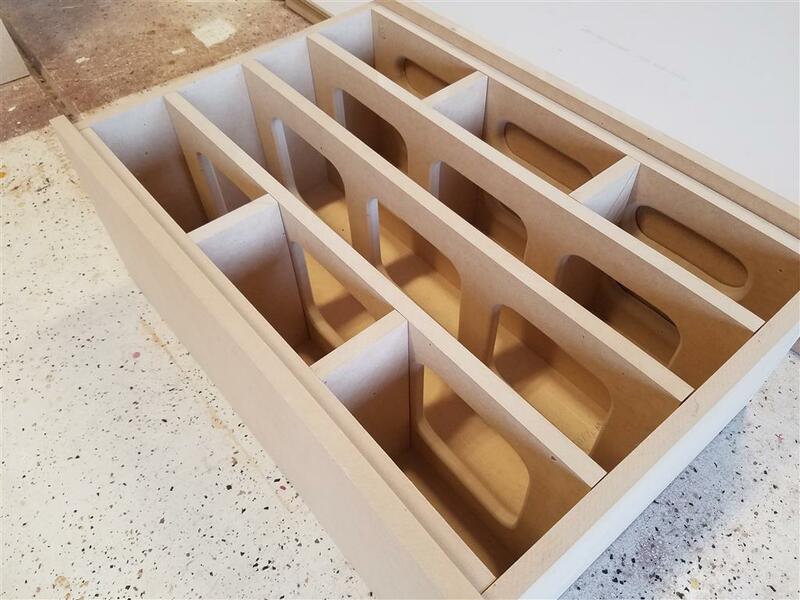 Front and rear baffles are double-stacked 3/4″ MDF with an additional 1/4″ MDF baffle board for flush mounting the drivers. Total expected volume will be 75L-80L for both drivers. 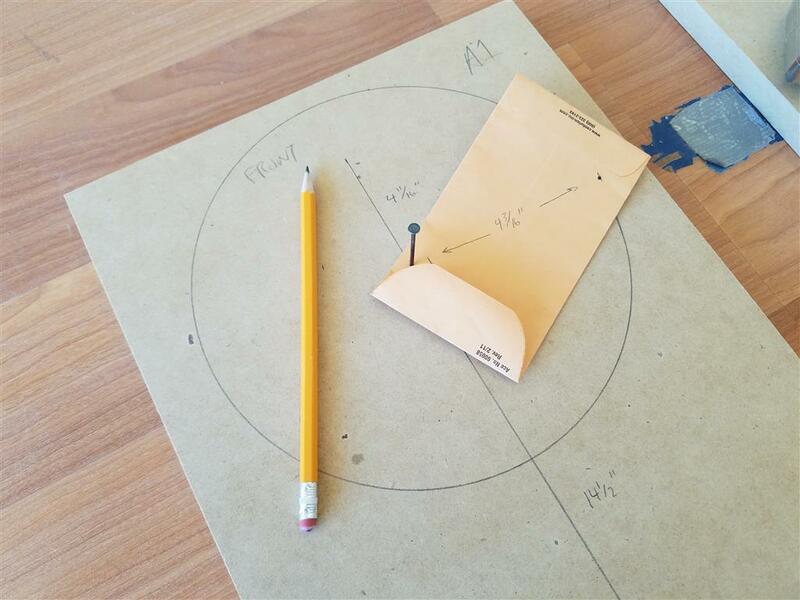 Tuning frequency will be between 32 and 39 Hz using a Precision 4″ flared port from Parts Express. Volume and tuning was initially modeled using Unibox 4.08. 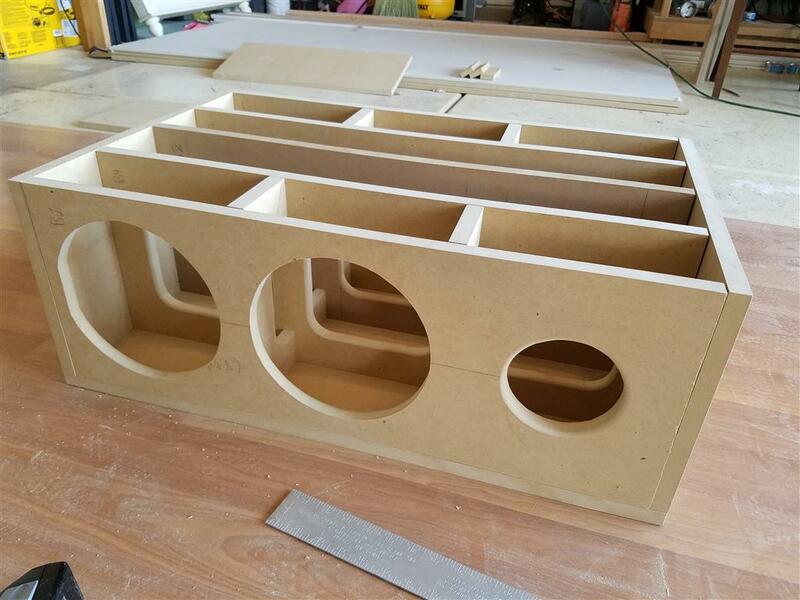 This design represents nearly a perfectly aligned “Standard Tuning” enclosure with minimal fill and minimal leaks. I picked up my old copy of Vance Dickason’s Loudspeaker Design Cookbook and calculated some different 4th order alignments given the formulas in his book. Unibox doesn’t assign an alignment descriptor such as the ones that Dickason described. I guess the assumption is that since you can plot the desired response you don’t need to design to any of the traditional filter types since the possibilities are near infinite. I’m not even sure any of the modern design tools really mention filter type/alignments anymore. So I calculated three other classic alignments, the SBB4, QB3 and a BE4 (Bessel) and put those values into Unibox so I could plot them and see how they compare. Note that Parts Express also recommends a volume based on BassBox 6 Pro which appears to align somewhat with a SBB4 or a QB3 alignment but oddly enough they don’t define the tuning frequency of the box. 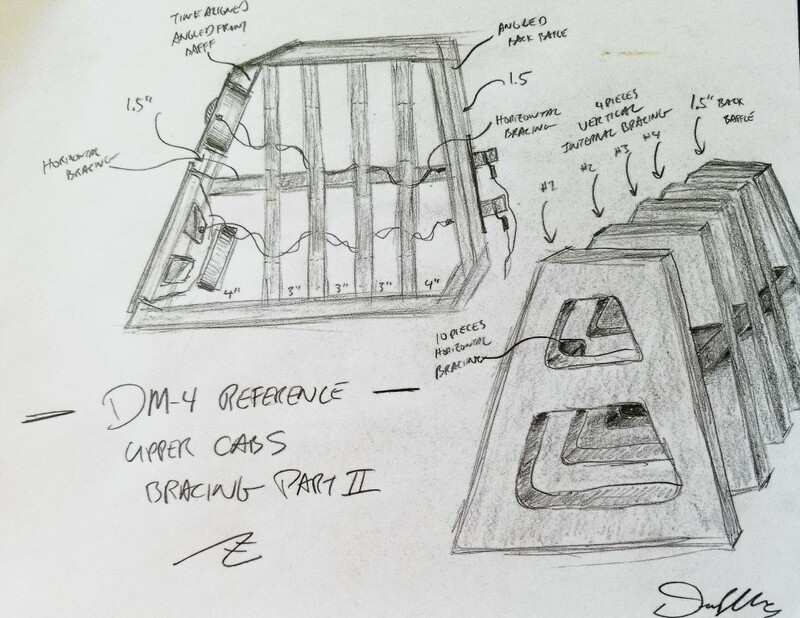 Stating only f3 does us little good, without fb one cannot know what the correct tuning is suppose to be, which the the most important part of a 4th order vented design! 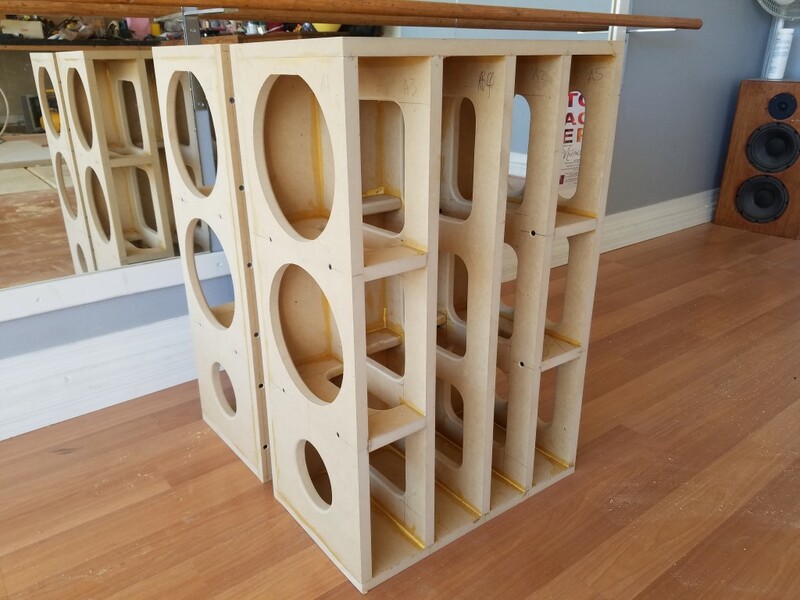 Anyway, I may shoot for the BE4 alignment, for two drivers the enclosure should be 77 L with a tuning frequency of 32 Hz. It’s got a gentler slope than the Standard Alignment or the SBB4/QB3 alignments which should result in improve transient response, according to Dickason. The Step Response function in Unibox confirms this theory to some degree though the difference in timing between alignments is marginal. 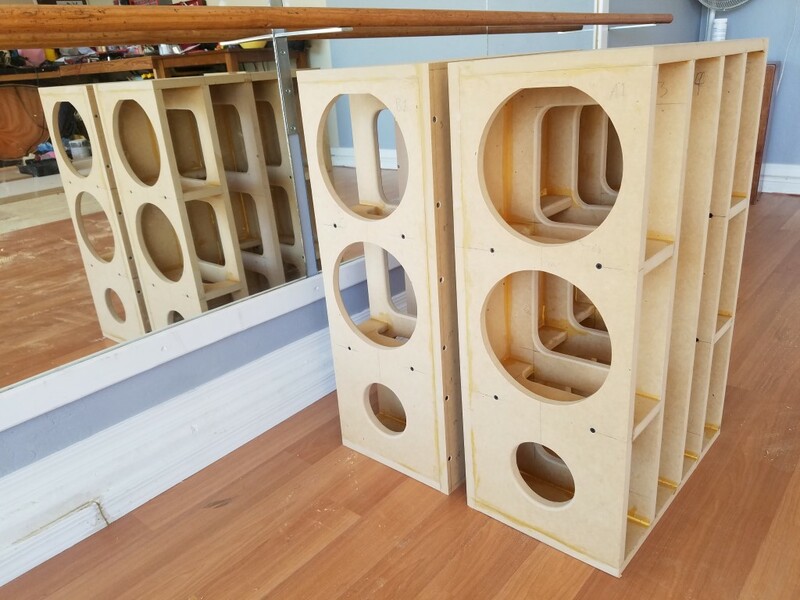 The drivers that will compliment these cabinets are a pair of Parts Express 8″ Reference Paper Series woofers which were recently released (2015). 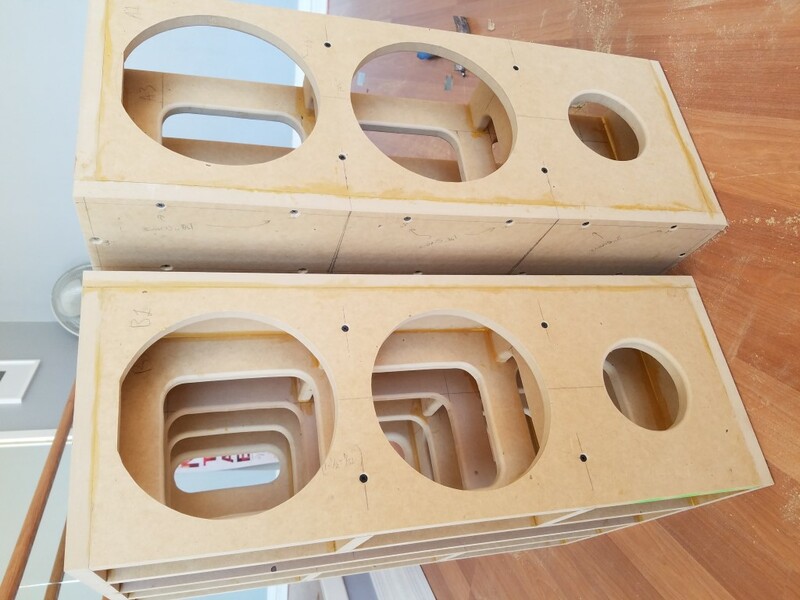 I haven’t seen too many builds with these speakers but when they first came out, I knew they would make a perfect driver for my VR-5/Puppy lower cabinet. While more VR-5 than Puppy (due to the phase plug) they model very well in the enclosure size I was shooting for. 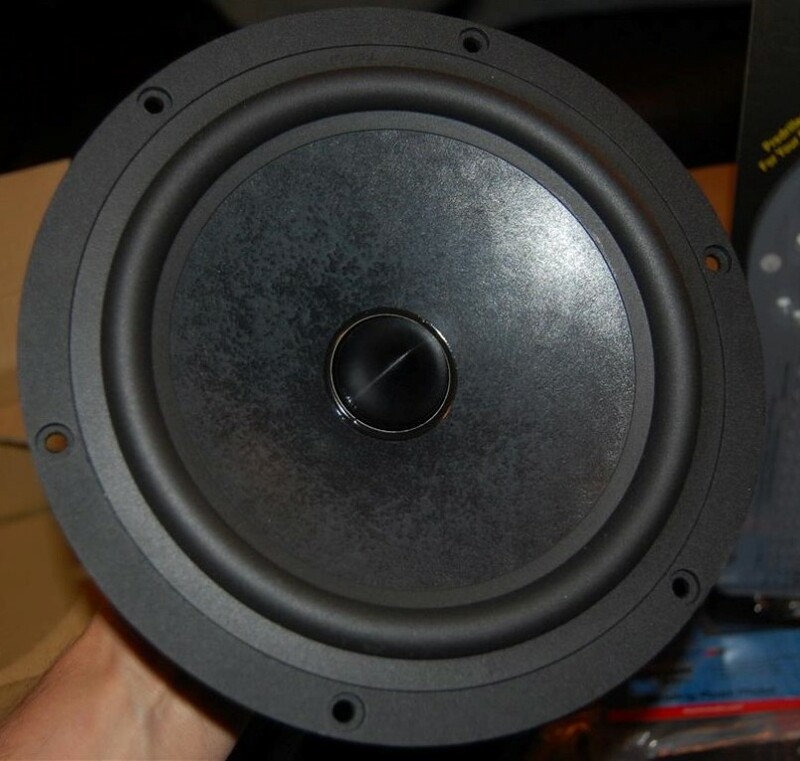 They have a matched set of 7″ drivers for the midrange plus that great Dayton Audio 1-1/8″ dome tweeter. 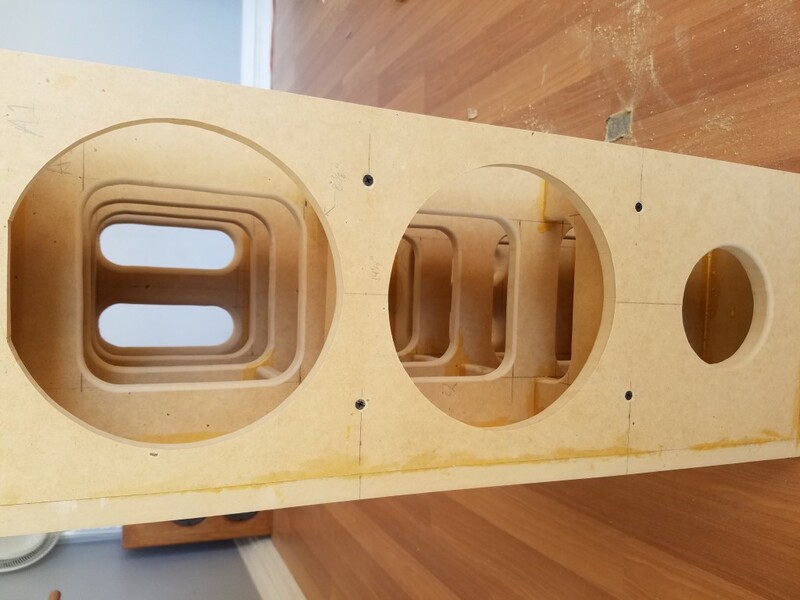 All around, I thought this would make a great speaker system to flaunt the Dayton Audio Reference name from top to bottom. 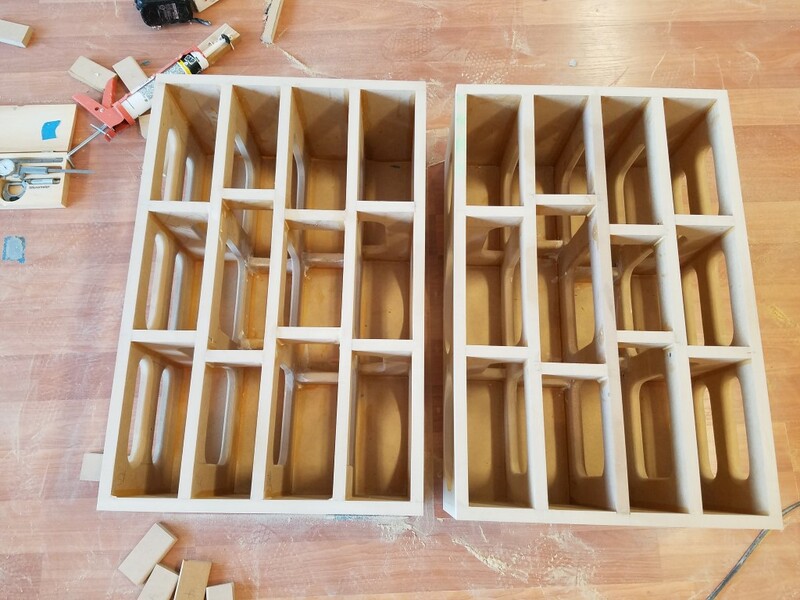 Just some quick notes about the cabinets so far – the design intent for the enclosure is to increase/maximize stiffness of wall/panels while reducing mass, i.e., maximizing internal volume – light but stiff panels to increase the resonance frequency of each panel with the objective being zero audible panel vibration within the passband (and beyond) of the two drivers. 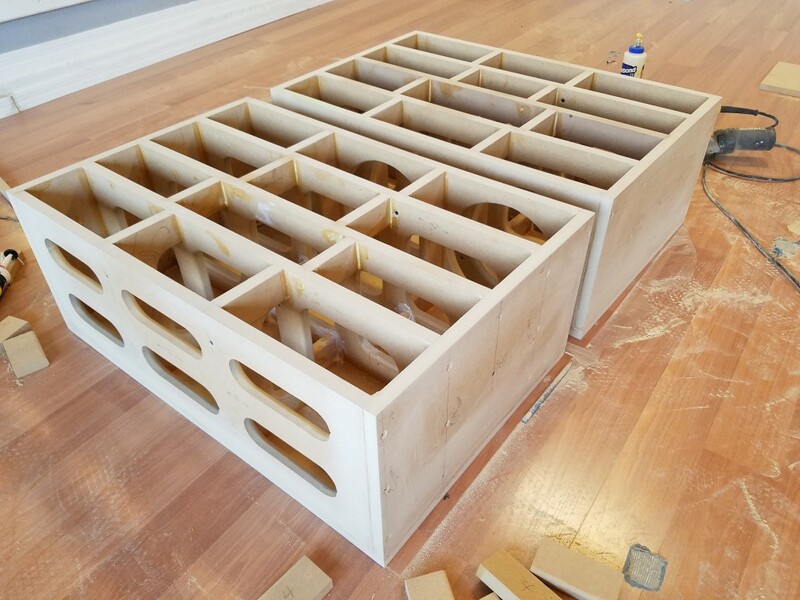 There is a lot to read about the subject, as I have learned, and as it would seem there’s more than one way to brace a box from the overkill, to the simplistic, to the complex to the, how the heck did they do that? 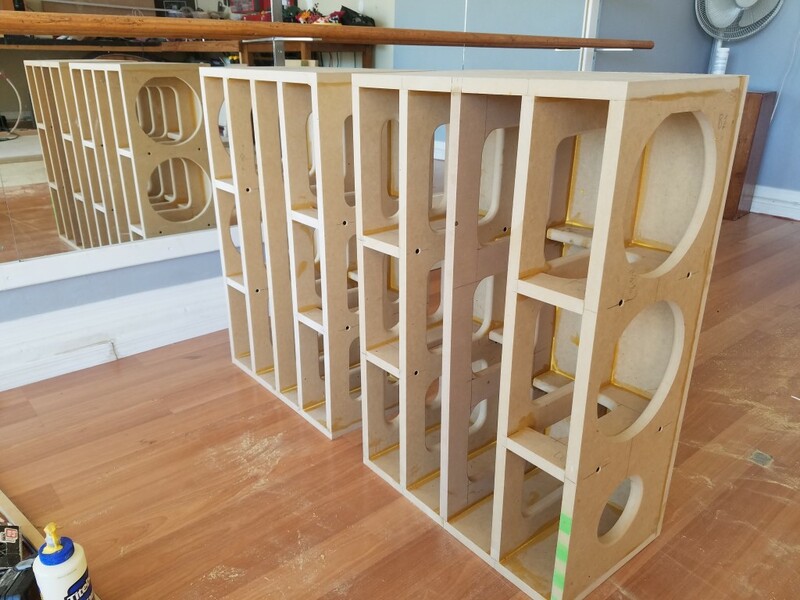 After reading all about calculating panel resonances of MDF, I had originally set out to design the perfect balance of bracing, stiffness, volume and mass using straight up science (as in, math) but later bored with the all the numbers and figures and decided to just, well..wing it, as I think a lot DIY’ers do. 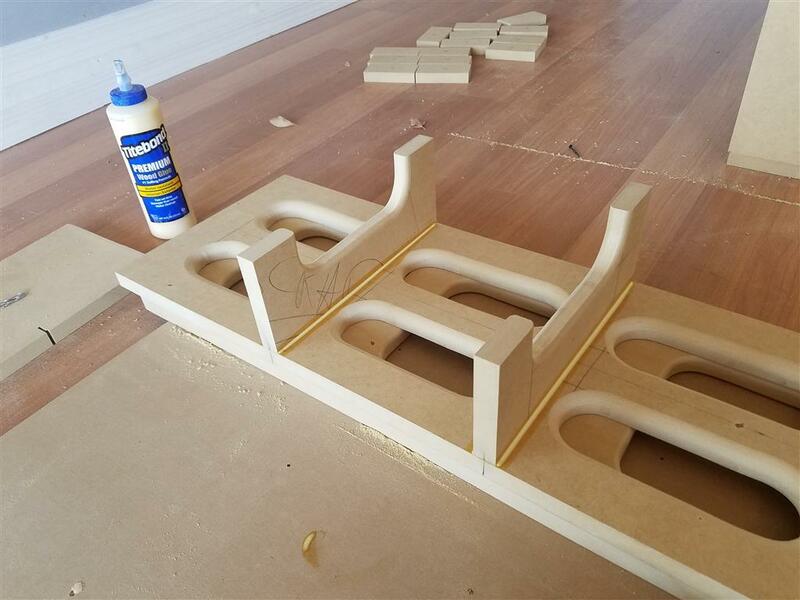 But all is not lost, even though the project is already underway, it’s still fun to figure out just what I’ve got and perhaps I can tweak the bracing if I haven’t already over-engineered it. I have found some great tools online that I have been playing around with, LISA being one of them (www.lisafea.com) which is a FREE Finite Element Analysis modeling tool for up to 1300 nodes. This program is so cool! I’ll go into the details another time, but so far I am able to model and show animations of the panel modes and calculate the frequency of several modes. It’s pretty slick. 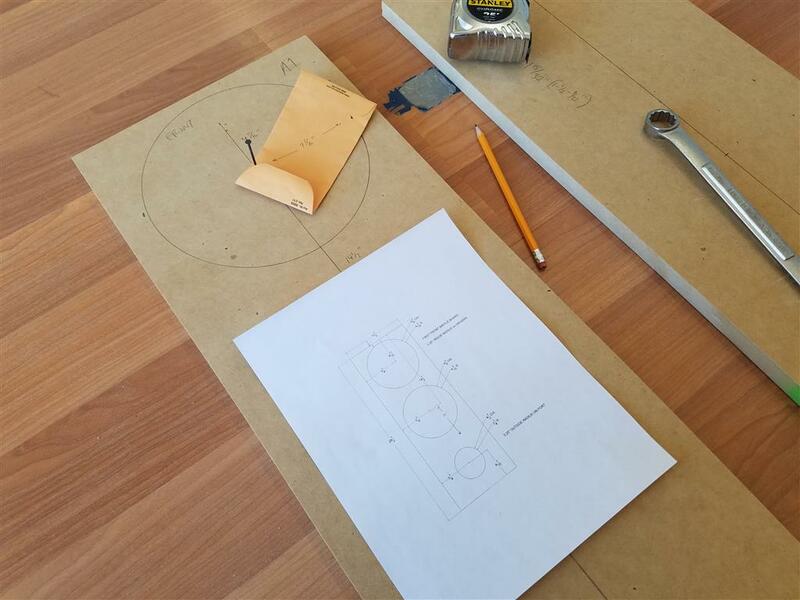 Anyway, so what I have come up with is both simple to cut, easy to build and should provide no single panel surface area of more than about 20-25 sq.in. 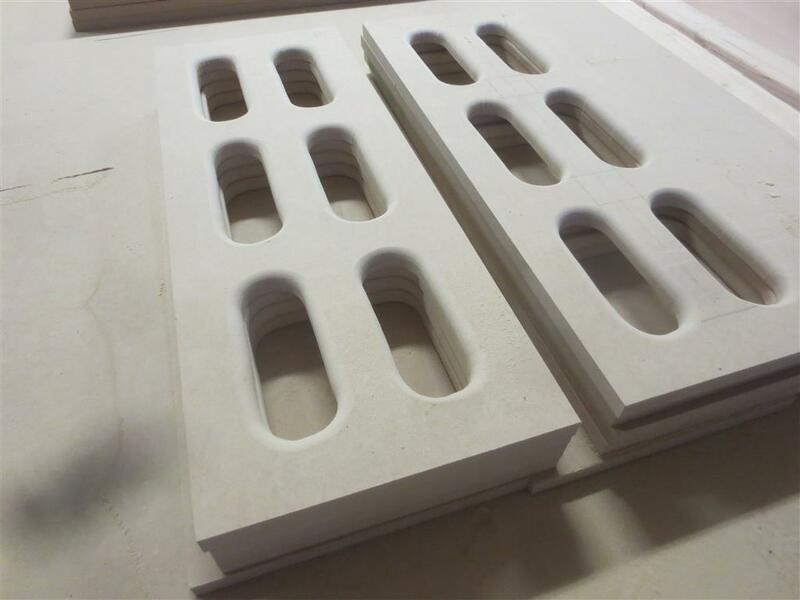 before being constrained by either a 2″x3/4″ brace, a full 3/4″ cross brace or a panel edge. 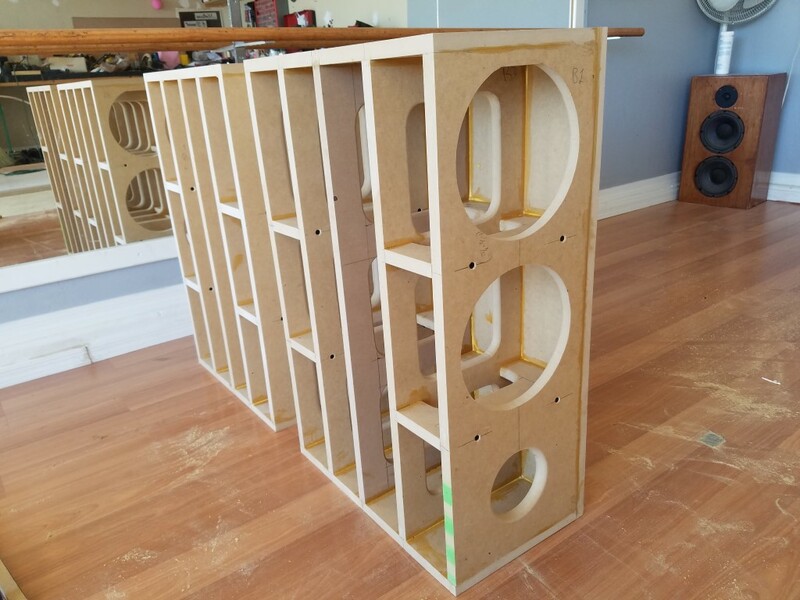 So let’s break this down a bit, if you take the largest surface area on this speaker box, the massive sides, you end up with a panel that is 630 square inches. 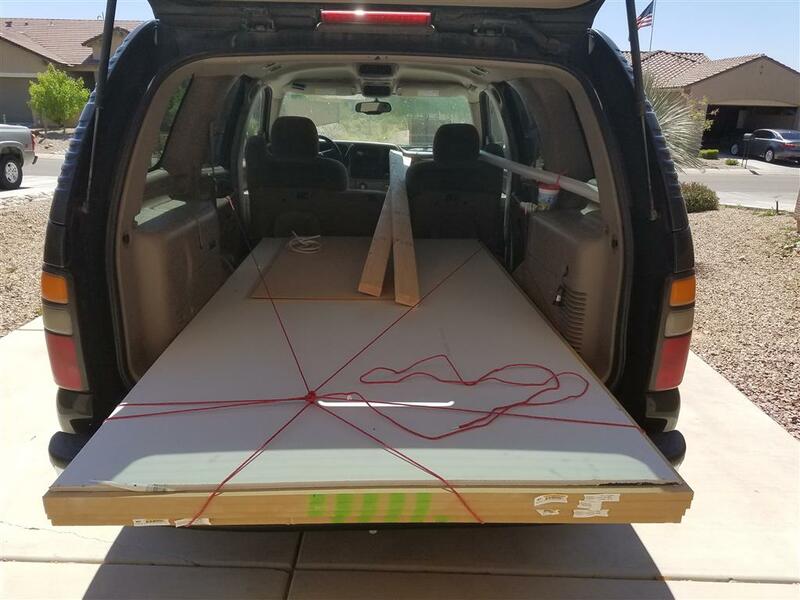 Without any bracing, worst-case scenario, this panel is held, supported, constrained, fixed or “bound” on a total of 4 sides. 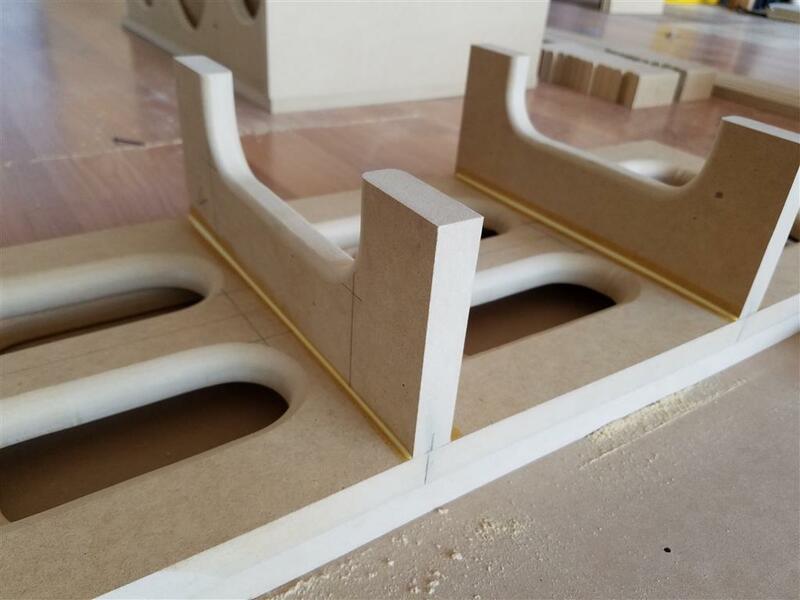 This panel will have a fundamental resonance at a single frequency, let’s call it fs (which is a function of Young’s Modulus, Poission’s Ratio and the density of MDF). This will be the main mode, or the 1st mode (and in most cases will follow a classic drum mode), with the center of the panel flexing in and out at fs with an amplitude of z. There will be other modes, higher order modes, 2nd, 3rd and 4th and so-on, but with each higher-order mode, the frequency increases and the z amplitude decreases for the same input energy. So emphasis can be placed on killing the first couple of modes with all other higher-order modes improving respectively as bracing is added and stiffness is increased. It should be noted that the z axis motion, or amplitude of the resonance corresponds to damping. Increased damping results in the decrease of the amplitude of the resonance and does not move or change the frequency of resonance. 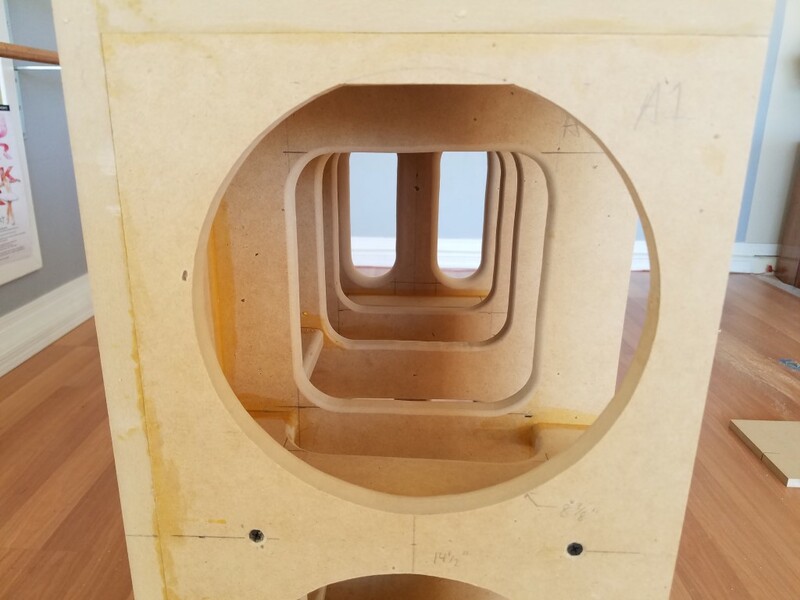 Both concepts have real implications in speaker enclosure design and both principles need to be considered when shooting for a “solid” speaker enclosure. 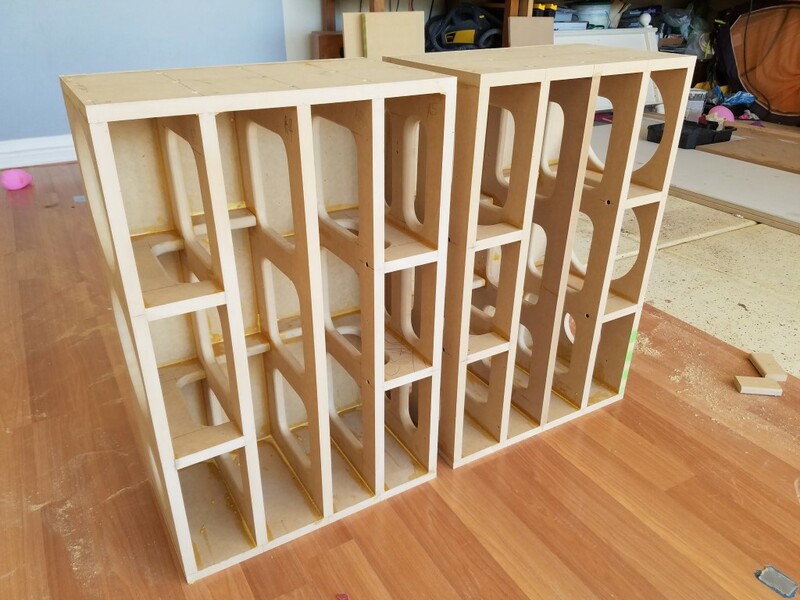 My plan was to shoot for optimizing (increasing fs and stiffening) panel resonance modes first via bracing using MDF and then attacking damping second via some other materials. 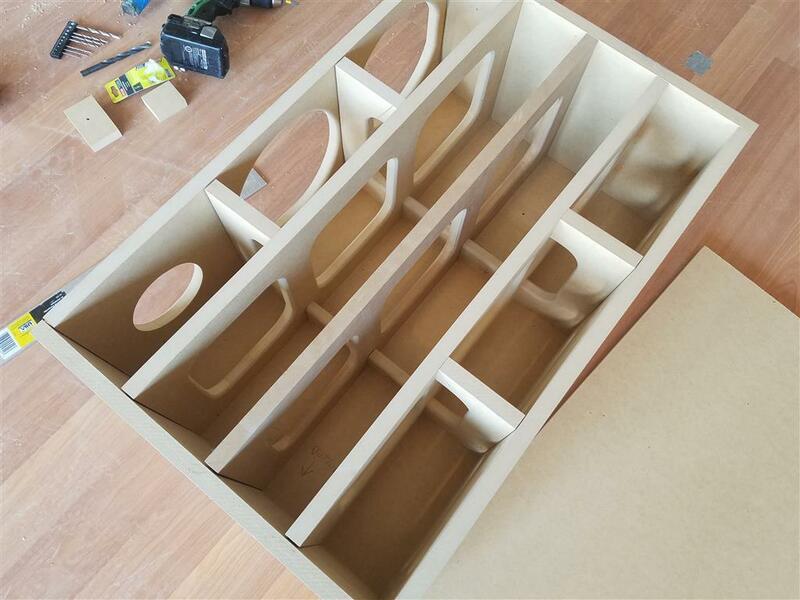 Lastly is to consider internal cabinet fill material (like polyfil or insulation) which serves a much different purpose than the aforementioned techniques (which is mainly to attenuate the massive internal reflections that result from a basically square box made of wood which really likes to reflect sound). But that requires a blog for another day! In fact, this entire post deserves another post for another day. So let’s just get to the pics and I’ll stop talking for now. Enjoy! The following week I accomplished a little bit more. They are starting to really take shape now! 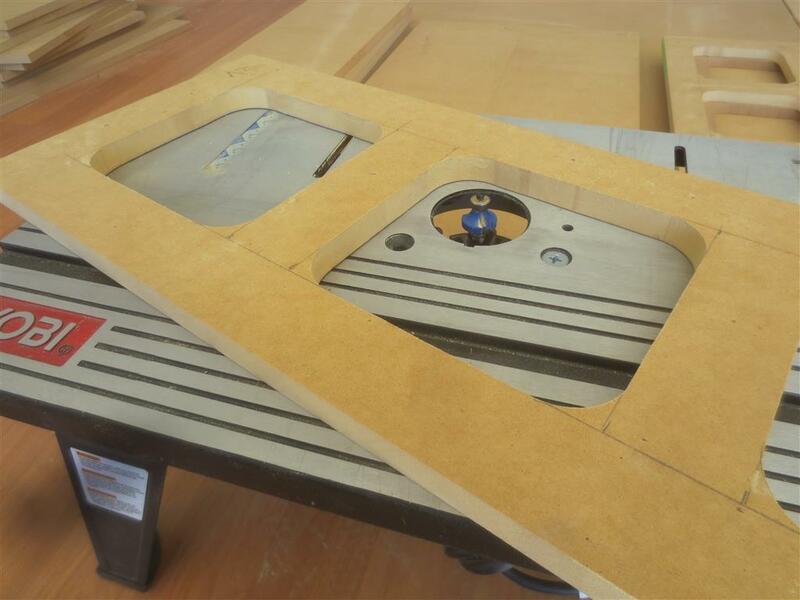 Also the upper cabinet design is getting a few bracing tweaks. Here’s a video montage of the above picture gallery and some short video clips just for fun. 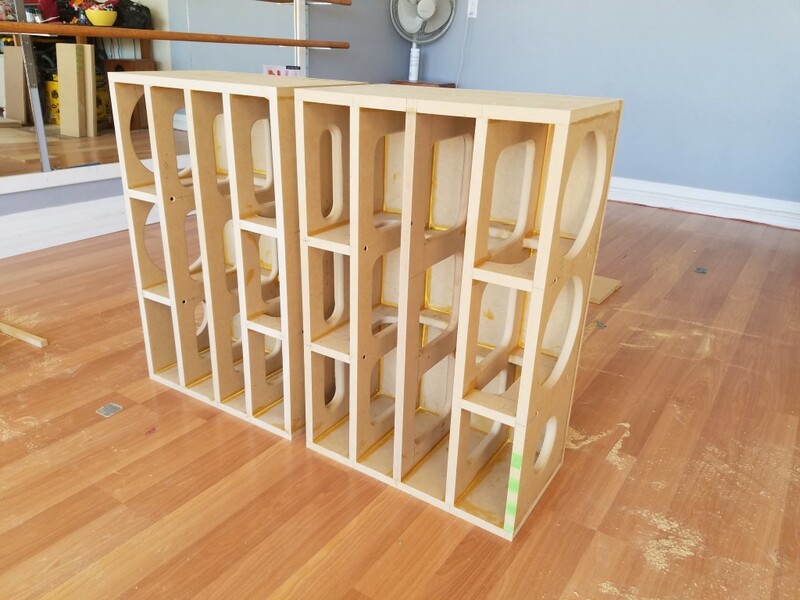 This entry was posted in Audio/Video, General, Home DIY, Music and tagged bracing, cabinets, dayton audio, DIY, mdf, puppy, reference, resonance, speakers, technique, VR5, watt, wilson audio, woofers. Bookmark the permalink.